Is it starting to feel like your car or truck’s out of alignment? (Signs include uneven tire wear, vibration, and a vehicle that pulls or drifts to one side while you’re driving on a straight-away.) Don’t wonder any longer! 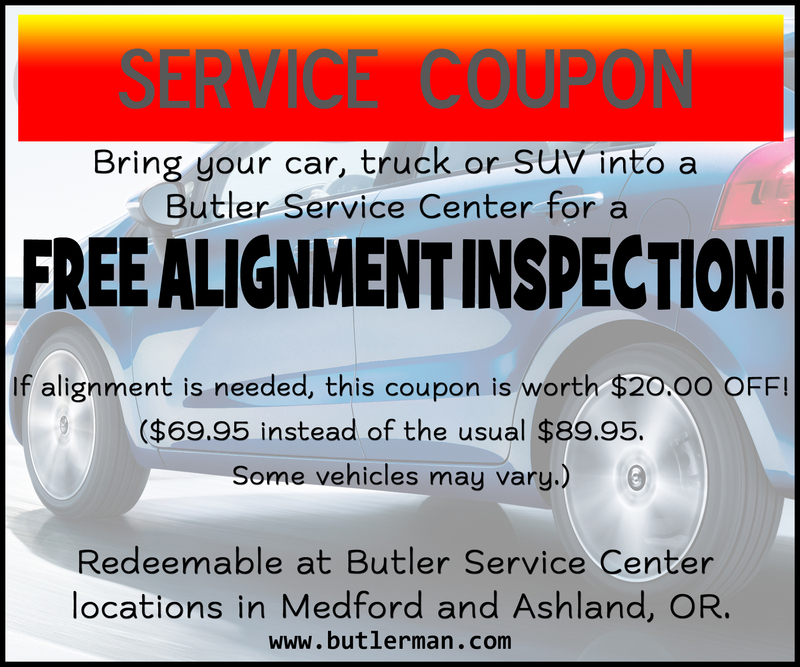 Print and redeem the coupon above for a FREE alignment check any of our four Butler Service Center locations. If your vehicle’s fine, you’ll be on your way with no cost. If an alignment is needed, and you decide to let us do the work, you’ll be entitled to $20.00 off the regular price. It’s a win-win! Call us to set up an appointment or just drop by. We’ll be ready for you!